We are the leading manufacturer, trader and service-provider of Glass Partition System for Corporate Office. Highly durable and reliable this range is reckoned amongst the clients for their precise and accurate compositions. We are the leading manufacturer, supplier of Glass Partition System for Corporate Office. Also, our range can be customized in order to meet the diverse requirements of the clients. 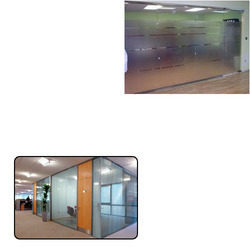 Looking for Glass Partition System for Corporate Office ?